The First Canadian Project by Greenland Group is Under Construction! 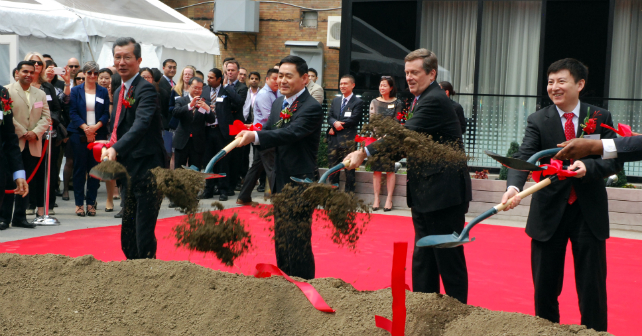 We recently had the pleasure of attending the official King Blue by Greenland groundbreaking ceremony, which was graced by Henry Cao, President, Greenland Group (Canada), Toronto Mayor John Tory, the Consulate General of the P.R. 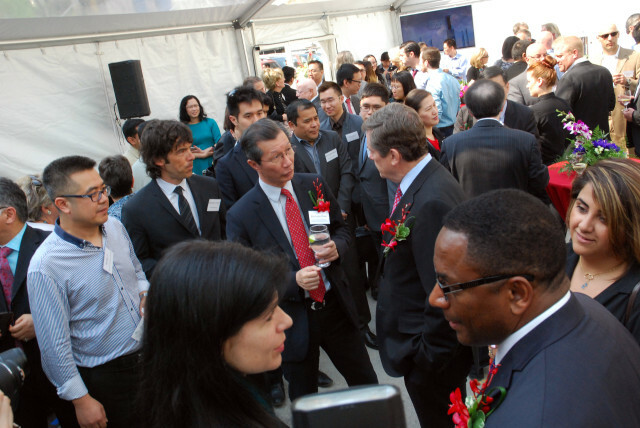 China in Toronto, Xue Bing, and the Honourable Michael Chan, Minister of Citizenship, Immigration and International Trade. 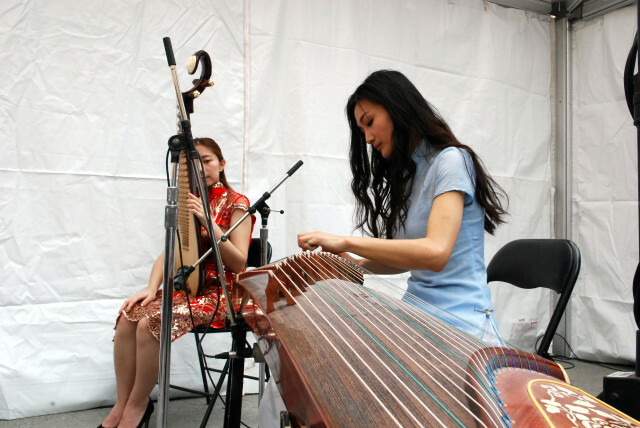 It was really a ceremony of firsts. This is Greenland’s first project in Canada, and they announced that the site will also be home to the country’s first Theatre Museum (10,000 square feet), as well as the first Primus brand hotel. Also, it’s worth mentioning that the Westinghouse restoration is the tallest heritage facade to ever be revitalized in Canada. The Primus Hotel will be a seven-storey boutique hotel, owned and operated by Greenland Group (Canada). There will be 122 oversized luxury rooms, as well as a rooftop terrace with a pool and lounge. Greenland estimates that the hotel will create approximately 120 permanent staff positions. The design of Primus Hotel will be by CHIL by B+H, the world renowned hospitality design team at B+H Architects. Greenland has 70 highly successful luxury hotels around the world, so it’s pretty exciting for them to be adding a Toronto one to that list. It’s actually just exciting in general that Greenland Group has broken ground on their first project in Canada. They are a Fortune 500 company with 23 high-rises in their portfolio, four of which are amongst the top 10 tallest in the world! 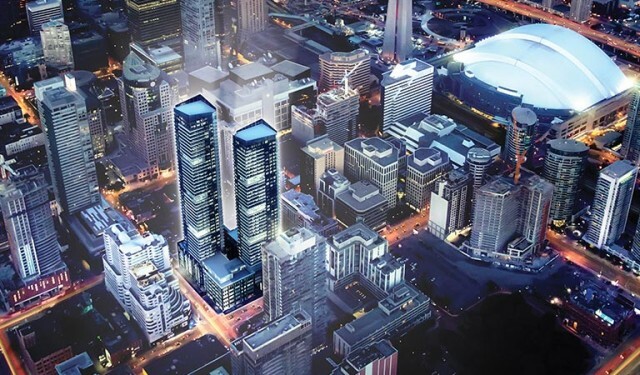 King Blue by Greenland will feature two towers, standing 44 and 48 storeys high, designed by IBI Group Architects / Page + Steele, B+H Architects, with interiors by Munge Leung. 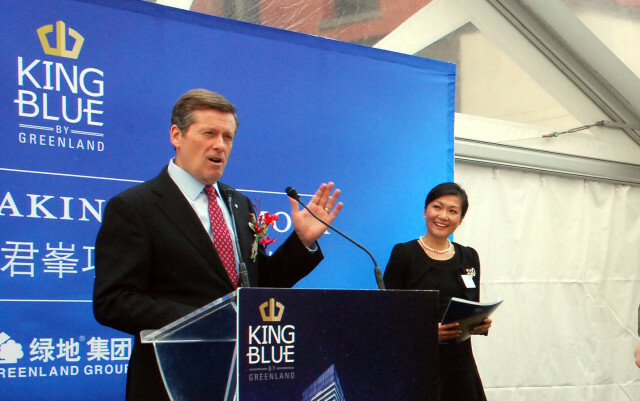 “With frontage on the city's most dynamic street in the entertainment district, King Blue is designed as a social hub – a community within a community,” said Alessandro Munge, Principal, Munge Leung. “Taking cues from hospitality design, we have created multiple gathering and amenity spaces designed from the user perspective, taking into consideration how people actually entertain and effectively extending one’s living space from their independent unit across the entire building site. 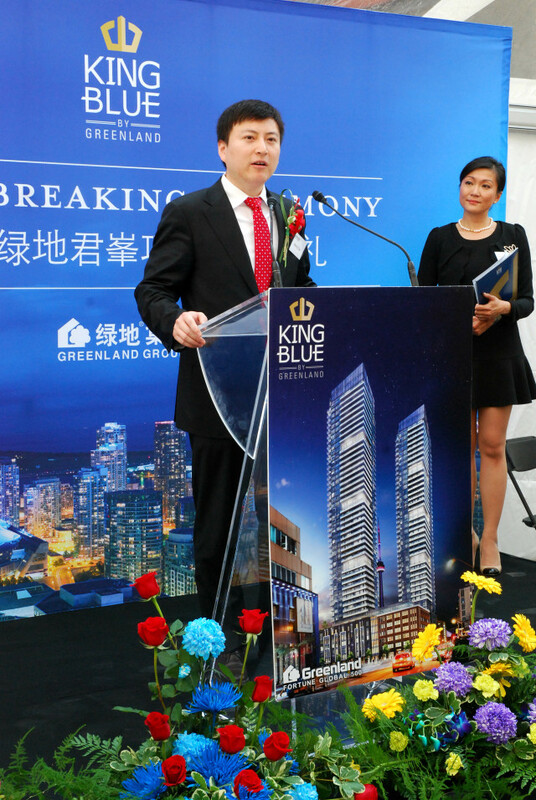 Our experience working with multiple developers in Asia has exposed us to their high standards of residential construction, and we are very excited about Greenland’s plans for expansion in Canada. 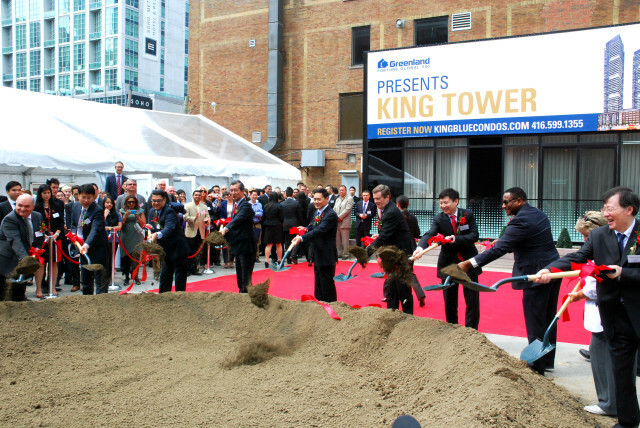 Projects like King Blue contribute to elevating the standard of development in Toronto and we are proud to be a part of it." There will be a total of 910 units between the towers, ranging from 300 to 1,400 square feet, with prices starting at $299,000 and reaching up to $1 million. Now that the dirt has been turned, occupancy is tentatively scheduled for 2018. 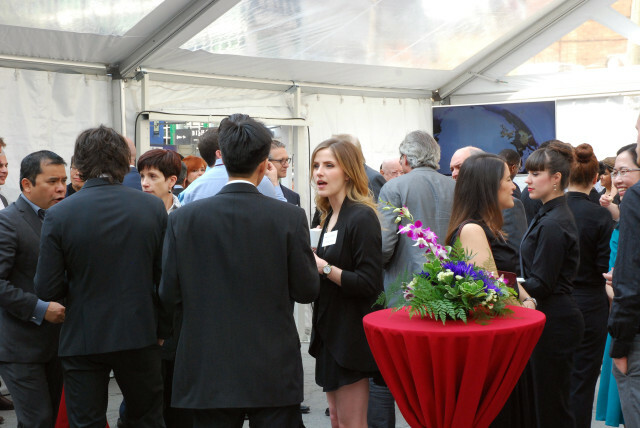 For more information on the new floors and available units at King Blue by Greenland, visit the presentation centre at 355 King Street West in Toronto.